Lately, I have had many conversations with entrepreneurs and professionals who do not yet have a profile created in Linkedin, and I found it interesting to share the results with you on how it has helped me to have a presence in this professional social network. I have been able to identify the best practices in the commercial area of how these entrepreneurs do with much success. Let me share with you 9 steps that you can put into practice very quickly: Get the first meeting. Do not neglect your profile Never! People like to accumulate their LinkedIn contacts. The more connections of better quality, with a single click: you will have greater access to skills, talent, followers, recommendations, and opportunities. So when you press to connect with someone, they most likely will probably be able to accept you back. It is important to mention that if that person does not know you, but for you, it is important to follow him, write a short introduction of why you want to have as a contact, so the other person will know your intentions and if it seems correct, insurance will follow you as well. 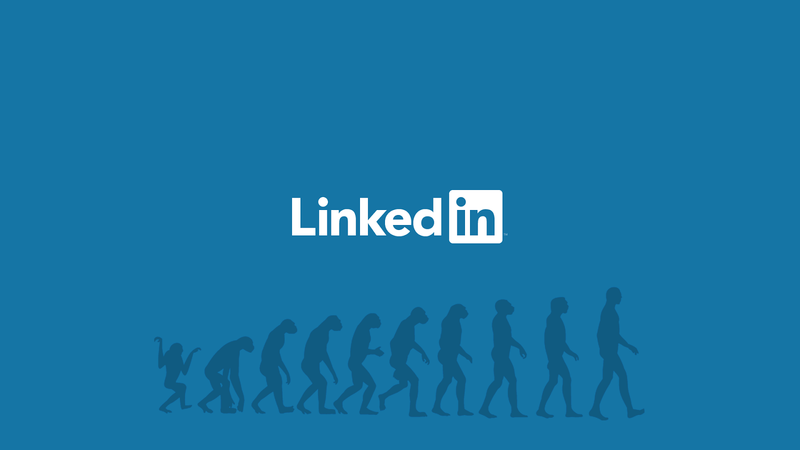 You are not going to get anywhere on LinkedIn, but you accumulate a considerable number of connections that are of interest. It's like networking in person, you can go to every event in the industry, but if you do not get close to people, then you're really wasting your time. Get out of there. Do you remember anything? The interested party is you. People will not go near you (the only way that happens is when you are already well known) but if that other person is key to your business or project, do not hesitate to ask him as a contact, yes, always writing it giving your Reasons why you follow. Be sure to examine your new connections and messages before sending them. Luckily, LinkedIn provides everything you need. From your complete job history, personal statement, job descriptions and a list of skills, you are likely to be able to find out even more information at the top as some of your motivations and goals. Do as much research as you possibly can, it's important. If you can understand your target market, you can talk to them in a very personal way. Being able to do that means you are going to be much more likely to buy or hire what you are selling. You have the option of "Excellent" - which means that people can see when you've seen their profiles. Unless you work anonymously, you probably want to use that option and let him know that you've already visited his profile and find out more about him and for that reason, you're interested in him as a contact. When you look at the profiles of other people, it is because you want them to know. The idea is that, when looking at them, they are also curious to know about your profile. Which means they will be more receptive to the messages you can send them in the future. Congratulations! Already you start to connect with more and more people of your interest. You know who they are. Now you have the opportunity to talk to them. For every message you send is a chance to make new connections and invite them to have a conversation. Your messages may well appear to you both in your emails and/or on the LinkedIn website, so you have twice the chance of seeing your message. Do not worry about this step of commitment: be yourself, and no one will see it as weird. Do not write 1000 words, be concise in your messages and consistent to always give a good impression of you (take great care of writing and spelling). You must find common ground (it is important to actually receive a response back) so you can get it safe. Not all your messages will receive answers. However, some of them are sure to answer you, and that is better than nothing, right? Great. After connecting, you should be aware of what you are talking about, because you may have already made a sale. But just as with the contacts already connected through any other means, you have to look for them on LinkedIn and with them so that they are part of your community and begin to interact and follow him in his publications. You should not forget them, especially now that they are part of your community (or allow them to ignore you). Just like the general tips to stay in touch with people, LinkedIn gives you the opportunity to do a lot of little things to keep you in touch with your contacts. It is simple and not complicated. Commenting on your messages and connection updates will only take a few seconds, and it has a great effect. Everyone loves it when they get the comments. Also, if you see an ad for a connection that you think is relevant to another, you can tag it so they can visualize it and thank you. 1st-degree Connections will appreciate your views/comments / interaction and 2nd-degree connections will appreciate you sending something interesting. Also, both can gain a valuable new connection between them. They say the content is the king and they are probably right. It is important, if not key. 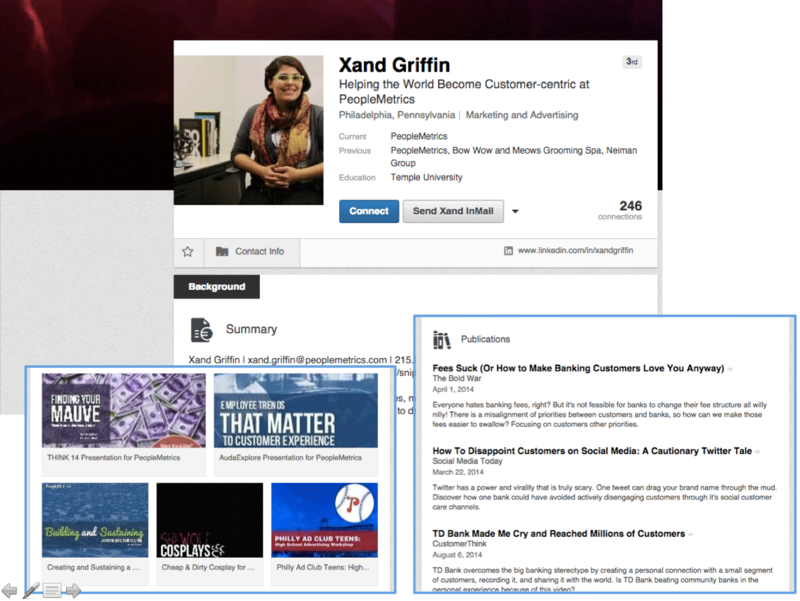 Not only can you easily share links to any content you find interesting, but LinkedIn also has a practical, user-friendly blogging platform that is frequently frequented by all the regular users of this social network, it is called LinkedIn Pulse. You can regularly post ads, articles of interest to your community and they will read you and others who do not know you will also be able to connect with you. You can through these articles express your experience in a professional way, and even sell your service indirectly. If you have 2,000 connections, then that's an audience of 2,000 people that you can advertise for free. 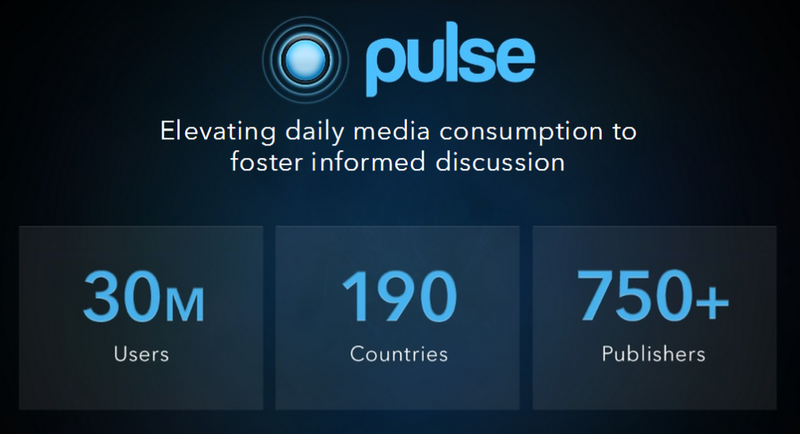 If you do not know how to publish Press LinkedIn, I recommend watching this tutorial (it's short and simple) of Isidro Pérez: " HOW TO BECOME PUBLISHER OF PULSE LINKEDIN AND INCREASE YOUR TRAFFIC ARTICLES QUALIFIED ." Join groups and participate in discussions. You must be exposed to connect all kinds of valuable people that you may have never connected, but that will undoubtedly be an essential part of your community. Like them, they will also be exposed that you connect them. Participating actively you will be able to emphasize your abilities, ingenuity, and knowledge between the groups; Where countless people will begin to see how you have authority in your sector, and they will be interested in connecting with you for a commercial sound for both. LinkedIn is ideal for finding new people to talk to. Let's say your interest is primarily focused on IT Directors, you can use LinkedIn to get a list of almost all IT managers in the country in question in seconds. Be sure to familiarize yourself with the various search features and find the best ones to search for your business. A large number of potential customers are available within seconds through the search on LinkedIn. But, unless you want to pay, LinkedIn imposes some restrictions. On the one hand, there is a limit on the number of searches you can perform per month. Much more than the average user would ever need, but if you are a dedicated salesperson, and you need to carry out various searches, you can only use the search function within a few days. LinkedIn also does not always show everyone's name, which can be a bit annoying. Use a photo of high quality and professional. See yourself. Give / get recommendations. Your profile can make or break a sale. People are more likely to trust and talk to someone they can read and definitely believe someone with customer testimonials (recommendations). So spend some time making sure that your profile is nothing less than impressive is not wasted time, quite the opposite. Follow each of these simple steps, and you'll see that you'll soon start to find all kinds of opportunities through this vast network of professional LinkedIn contacts.